In the last few hours some of you have sent similar questions. How long after death can the Sacrament of Anointing be administered? Sometimes we say “Last Rites”, though technically Last Rites includes Penance, Anointing and Viaticum (Eucharist), and hopefully the Apostolic Pardon. We can loosely use “Last Rites” sometimes to describe simple anointing. It seems that these questions today are prompted by a new report that the late Justice Antonin Scalia (how great was his loss!) was anointed by a priest some hours after he was discovered to have died. I have written extensively on the issue of sickness and danger of death elsewhere on this blog. For example HERE. I’ll leave those aside as not pertinent. We are dealing here with someone who is apparently dead. That leads us back to the question of anointing people who seem already to have died. A person who is dead cannot receive a sacrament, therefore a sacrament should not be attempted to be administered. Some might interject here that Our Lord raised Lazarus from death after three days. That is a special instance, He being GOD and all. And, the Lord’s purposeful three days delay made it clear that Lazarus was truly dead. Corruption had set in. Lazarus would clearly not have been a candidate for anointing. We know that death occurs when the soul separates from the body definitively. It may be that the separation occurs suddenly. It may be that the separation occurs gradually. It may be that it occurs swiftly. It may be that it occurs slowly. It could be different for one person than for another. We all have heard stories of the resuscitation of those who have died, even apparently for some length of time. It would seem that, in those cases, the soul had not left the body in a definitive way. Since we are Unreconstructed Ossified Manualists around here, we must consult the wisdom of our forebears! Back in the day before many medical developments, moral theologians in their manuals wrote that in the case of apparent death, anointing could be administered conditionally. The form for the anointing is changed slightly to introduce the condition of life, that is, by adding the words, “Si vivis… if you are now living (then…)”. In this way, the integrity of the sacrament is preserved and, if it is possible that the person is alive, then hopefully she receives the effects. Also, in the old manuals of theology, there was discussion of the point made before, about the way the soul separates from the body. “Quid sacerdoti agendum sit, si an aegrotum accedat, eumque modo mortuum, ut vulgo dicitur, inveniat? In a nutshell, this says that if in most cases a person dies suddenly of natural causes then there is probably still some life remaining after the last breath. In the case of a slow death from illness it may remain for a few minutes maybe six or, according to some experts 30 minutes. (See how the authors are divided… auctores scinduntur.) In the case of a sudden death some life might remain longer, even perhaps to the point of putrefaction. If a priest finds the person and he is morally certain that he is there in the time that life could still be present to some extent he can and indeed ought to anoint, but conditionally. In the case of illness the author thinks that a half hour is the length of time that the priest has to get there after apparent death from illness and one hour in the case of sudden death. If, after that time but before corruption sets in, he can anoint. Whether or not he ought to the author leaves to those wiser than he. Thanks. Not to nit-pick, but I prefer moralistic doryphore. Even though there have been scientific advances since these old manuals came out, they contain good theological principles and common sense. For centuries, and often now, priests don’t find the moribund or deceased in rooms with machines pumping artificial life around the place and taking measurements of brain activity that none of us can perceive without sophisticated thing-bobs. In most cases we have to deal with situations without the help of fantastic gadgets. We have to determine our course by foundational principles, keen observation of facts, and common sense. Also, let’s not forget, we must always treat all sacraments with reverential awe. They are sacred moments of encounter with the living God, wreathed in mystery, simultaneously terrifying and alluring. Sacraments aren’t lollipops that you get from the nice doctor because the shot made you sad. Based on our reading, above, a priest has latitude in the administration of the sacrament of anointing of a person who is apparently dead. I think the distinction of death after long illness and sudden death is helpful. The idea in the manual I consulted is, I think, that long illness means that the person has been dying for a long time, so the separation of the soul and body will be swifter after the last breath. In the case of sudden death, the body hasn’t been dying, so the life principle remains longer. Thus, it seems to me that if a priest arrives after death from a long illness within a short time, a half hour or so, he can and probably should anoint conditionally. If it is a case of sudden death, such as from an accident, a sudden heart attack when otherwise seemingly healthy, violence, etc., then the priest can and should anoint up to an hour after, but he can, conditionally, until corruption starts to set in. That might mean rigor mortis, I don’t know. How important it is for us to be mindful of our death and the death of loved ones? We don’t know the minute or the day. Having a plan when there is serious illness or need, having phone numbers handy, even having a card with the Apostolic Pardon on it for a priest to use… these are important. You should have a proper sick call set in your homes. You should make frequent use of the Sacrament of Penance and, each day during the day, say your prayers. Ask God, perhaps through the intercession of your Guardian Angel and St. Joseph, to preserve you from a sudden and unprovided death. Remember: Once you are dead, that’s it. We’ve looked at issues of how long that takes, but at the moment you are truly dead… that’s it. You immediately go to your Particular Judgment. There is no turning back. A hundred bishops could stand over you pouring any amount of oil and chanting the words repeatedly in every language known to man. Nada. Nichts. Nothing. Niente. Nichevo. Nihil. Too late. At the moment of your Particular Judgment your eternal destiny will be irrevocably determined at the throne of the Just Judge, the King of Fearful Majesty. You will stand before God and every thought, word, act, and omission during your entire life will be laid bare and put into the scales of justice. It will be determined if you died in God’s friendship or not. If in his friendship, is there yet a need for purification and expiation of temporal punishment due to sins? Do you still have attachments to sin or hadn’t taken care of your obligations in justice yet? All your deeds and, indeed, all your intentions will be weighed. After your judgment there are only three options, two are eternal: heaven, purgatory, or hell. “For the hope of the wicked is as dust, which is blown away with the wind, and as a thin froth which is dispersed by the storm: and a smoke that is scattered abroad by the wind: and as the remembrance of a guest of one day that passeth by” (Wis. 5:15). By mortal sin your cut yourself off from God. You send yourself to hell. This entry was posted in "But Father! But Father! 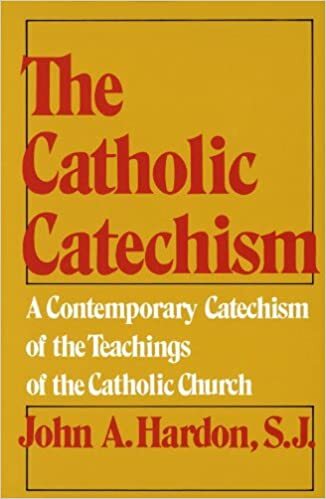 ", "How To..." - Practical Notes, ASK FATHER Question Box, Four Last Things, GO TO CONFESSION, Hard-Identity Catholicism, Liturgy Science Theatre 3000, Mail from priests and tagged death, Extreme Unction, Last Rites, Sacrament of Anointing, Unreconstructed Ossified Manualist. Bookmark the permalink. 31 Responses to ASK FATHER: How long after death can Last Rites be given? Father I spent most of my nursing career in what is now called Critical Care (in the UK amyway) – ITU, CCU, Theatres, A&E (emergency rooms), so I have stood by many a deathbed. Some from violent ends, some inch by inch as the medical team fought for the life. It is my certain belief, based on these experiences, that the soul does hang around even after all the flashing, bleeping monitors have alarmed and flatlined. You are very conscious that the person is still there – and then, after varying intervals – not there, not in that place, any more. (I have known Irish Catholic nurses who would open the nearest window and keep it open for an hour “to let the soul fly out.”) It is like the experience of walking into an empty room as opposed to one in which at least one person is present; an instinctive, gut reaction. In re preparing for the end, I would add some lessons I learned a few months ago when I went in for a biopsy with general anesthesia. First, don’t count on being able to pray or even think. There are too many noises and distractions to be able to concentrate or recollect oneself; plus, you will be under the influence of drugs. I tried to pray the Rosary, counting on my fingers, but couldn’t finish it. Second, you can suddenly lose consciousness without feeling it coming on. I tried in vain to be aware of the moment I would lose consciousness in the operating room, like I was the first time I was ever put under, years ago; this time, I was waking up in recovery before I even knew I had gone to sleep. Third, the people attending to you in the hospital are so busy focusing on your physical well-being that they may not even think to summon a priest, especially if it’s a life-threatening emergency. Even if there are family and friends there, that may also be the furthest thing from their minds. So I guess the bottom line is, it’s foolhardy to put off preparing for the end, until the end comes. Even if you know it’s near, you may not have the capacity to deal with it. You have to spend your whole life preparing, making a habit out of praying and frequenting the Sacraments. Oh, and my biopsy results were normal. I was taught you had up to three hours after an unexpected death, or one hour with an expected death, and that true death is evident when rigor mortis sets in. That said, I have been called at the last minute to anoint a person dying in a hospital, who was considered dead by the family and nurses, and were for some reason still connected to monitors with the alarms turned off. Each time I spoke the name of Jesus the monitors showed a reaction. So I do believe true death is different from clinical death. [Yes!] The formula I was taught to use in questionable circumstances is “If it be possible….” I hope it always was and will be, and they will help me when it is time for me to step through the curtain of death. Express your DESIRE to receive the Last Sacraments. The 9 First Fridays are a good devotional way to do that because of the attached promise which I have always broadly interpreted as somehow even if no priest is available God will provide the grace of the Sacraments at the hour of death. (Even though it is my personal theological opinion I think I’m line with the Tradition by saying…) If the desire for Holy Baptism — which is the greater and more necessary of the Sacraments — can suffice for the Sacramental grace at the moment of death — certainly the desire for Holy Anointing can suffice at that same hour. Thank you for an excellent post and thanks to the commenters for the excellent responses. I would only add to what has been written so far that we should also avail ourselves of the intercession of our Blessed Mother by regularly praying the Rosary or, at the very least, the Hail Mary. I would anoint conditionally. If the body is cold I would offer the prayers of commendation, etc. I would suggest that any priest always administer the Sacrament conditionally if corruption of the body has not set-in, and maybe even then if the apparent might involve cold (“you’re not dead until you’re warm and dead”) or the very young. A friend of mine pulled his apparently dead daughter from the bottom of a cold New Hampshire lake. She had stopped breathing and had no heart beat, for at least 60 minutes. She was eight years old. He began CPR as his wife called 911. By the time the paradedics arrived, she had a faint and slow heartbeat. The attending at the hospital said she would not make it through the night and if she did she would not regain mental faculties. She is now a 3rd year medical student (ah, the irony). I’m just saying…when in doubt, anoint conditionally. And for the laypeople — get trained in lifesaving skills. You never know when you’ll have the chance to give somebody a second chance. I once read that Saint “Padre” Pio said that U.S. President John F. Kennedy was saved. It is said that JFK had the urge to go to Confession in Texas shortly before his assassination. His mother, Countess Rose Kennedy, is said to have made certain that all her children practiced the Devotion of the Nine First Fridays in their youth. True or false? I don’t know, but it makes me want to practice the devotion! May I add what strikes me as pertinent in cases like these? Priests who minister the sacraments to the Christian faithful who are in a life-and-death situation should not neglect to impart to them the apostolic blessing, with its attached indulgence. But if a priest cannot be present, holy mother Church lovingly grants such persons who are rightly disposed a plenary indulgence to be obtained in articulo mortis, at the approach of death, [PAY ATTENTION!] provided they regularly prayed in some way during their lifetime. The use of a crucifix or a cross is recommended in obtaining this plenary indulgence. The Christian faithful can obtain the plenary indulgence mentioned here as death approaches (in articulo mortis) even if they had already obtained another plenary indulgence that same day. This grant, number 28, is taken from the apostolic constitution Indulgentiarum doctrina, norm 18. So it seems to this mostly self-educated in theology layman that a priest need not be present at all, provided that the deceased was “properly disposed”. From my “distant perspective” it seems quite likely that this was true of Justice Scalia. But if not “properly disposed”? The dying (but not yet dead) reprobate? I will not attempt to quote it here, but from St. Faustina’s diary (#1485) we have Conversation of the Merciful God with a Sinful Soul which seems to mean that the only humans in Hell are those who are absolutely and in full knowledge determined to damn themselves. [I don’t buy that.] Since, I think, this is unimaginable for Justice Scalia, my personal opinion is that I hope to eventually meet him in the Church Triumphant. I second what Anita Moore has said. During a particularly harrowing ambulance ride when I was bleeding heavily, I could not even form a thought, let alone say a prayer. The pain was so severe that the only thing I could do was feel the pain. I would not count on being able to make a last minute perfect act of contrition. It’s too much of a gamble. Because we don’t seem to understand much about death, I provisionally baptized a baby that I miscarried. God knows whether the soul was still there and I leave it in His hands. I prayed for my mom for 15 hours before she passed away at 5:10 am. About 10 minutes later my wife and I sat down in chairs and looked out of mom’s hospital room’s window. It was light enough to see the buildings across the small parking lot. I noticed that the cloud ceiling was probably no more than 100ft. and the wind was driving the clouds quickly towards the west. I mentioned that it looked like it could rain to my wife when suddenly a beam of light shined straight down on the paved parking lot for a brief second or two and then the light retracted back up to a hole in the cloud. before the hole in the cloud closed shut I saw a faint star. It was still pretty dark high up in the sky. This was the greatest gift anyone could receive after loosing a loved one and both of us saw the light no more than 12 to 15 minutes after mom passed. Since then I have assumed the soul stayed with the body 10 to 15 minutes and of course the Holy Spirit was with her at least since last rites 15 hours earlier. Pray. Pray with all your heart for the dead and dying, we can do no less. This is a slightly different situation. I once attended a session with a surgeon with a very good reputation who is also a Catholic Deacon. He was of the opinion that some doctors have been known to lie as to whether or not a patient is truly dead and are on occasion quite willing to recommend that the “plug be pulled.” That might be when an organ transplant might be needed or if the doctor is of the opinion that further treatment would be futile. So it would be of paramount importance to get a priest in attendance as soon as possible before the final decision is made. Worked in home care palliative nursing. There were patients (believers) who, towards the end of their lives, appeared to be neither here nor there, but in a sense in another space and time, on their way. They spoke of “seeing” or “sensing” their departed loved ones having come to accompany them. It was a privilege to care for them at the end of their life on earth, and I certainly had my faith reinforced in eternity as they prepared to meet our Lord with joy and confidence. It certainly brought home the importance of the Sacraments for the rest of us as we continue our pilgrimage and reordered my life priorities. As Fr. Z correctly says, we tend to die as we live. I was taught in seminary that conditional anointing of the sick is no longer permitted. In regards to not waiting until it is too late, I would add a plug for reading Preparation for Death by St Alphonsus Liguori. Wonderful book. I also agree with Anita. I was recently in a really bad car accident in which my air bags didn’t go off (which they really should have. There was nothing left of the front end where the main impact was) and my head broke the windshield glass. I was so out of it when I regained consciousness that I couldn’t even pass the time in emergency by praying my rosary because I couldn’t remember the prayers. Furthermore, hospital staff here can’t actually call a priest without your explicit permission due to privacy laws, so don’t count on a nurse or doctor to call a priest if you’re about to die and can’t sign the release of information form. From an unprovided death deliver us oh God. I was under the impression that we do not know, and cannot typically discern exactly when the soul leaves the body. Pretty sure that this is what the Church traditionally taught. I fully believe in conditional Last Rites. And yes Father Z, our parish priest from back before the 60s stated also that a lingering person would often die with his words “Go forth oh Christian soul…”. The power of the words of the ordained – even though this priest turned out to be a very destructive progressive as soon as the changes in the Church were evident. Mother was deeply devoted to St Joseph, the patron of a happy death. In her assisted living room, she had a large cement garden statue of St Joseph on a pedestal which she insisted remain at the foot of her bed where she could see it. Mother was declining rapidly, couldn’t speak, read or write, couldn’t pray, many, many health issues. One day the staff found her fallen, under the heavy statue of St Joe, which apparently she had grabbed as she went down. I wondered at the time if it was coincidence, was there a message in this? Another stroke had caused her to fall. I stepped up the spiritual care and visits, and requests for prayers. Mom was dead in less than 3 months. And yes, her death was well provided for, thanks to many kind friends and priests. Sorry, I had to attend to someone’s needs, so I couldn’t finish my comment on the notion of the fear of God, above. Yes, yir’ah, means slightly different things in different contexts (fear or awe or reverence), but I think the modern shift towards reading it, primarily, as awe and reverence is because of the modern psychological notion that unbridled fear is unhealthy. In a moral sense, however, unless one is a mystic who has had a transcendent experience of the Divine, awe is, rarely, a reason to avoid sin and reverence pre-supposes a certain level of love. I think that a little healthy fear of God is not a bad thing in the early days of Christian growth. St. John of the Cross felt the same way (of course, servile fear should be replaced by filial fear as one learns to love God, in Himself). “And I say unto you my friends, Be not afraid of them that kill the body, and after that have no more that they can do. Awe and reverence sound a little too weak in this context. We have so weakened the healthy fear of God, these days, that there is little wonder that fewer and fewer people take the precepts of religion as a matter of life and death. In my opinion, teaching your Catholic loved one correctly about the sacrament of the Anointing and making sure that they partake of it, when the need arises, just might be the last loving thing you can do for them in this life while they are alive. I like the idea of those little cards or bracelets with the words, “I am a Catholic. In the event of an emergency, call a priest,” but for goodness sakes, it should read, “In the event of an emergency, keep calling a priest until you get one.” [YES!] I really wish there were an apostolate for priests in every diocese that did nothing but be on call for that Call. What can one say if a loved one is dying and the hospital calls a priest and he never shows up (it has happened)? Hospital chaplaincies can be iffy, at best. When I recently called the hospital chaplain at about 6 or 7 pm, there was no one there and the on-call chaplain was a “deaconess” (not to denegate her, she tried to helpful, but we, really, saw things differently). Of course, the best thing is to get to know your parish priests, if possible. Make provisions long beforehand for a hospital or home visit, should (please God) your death not be sudden. As others have noted, it is critically important to let your family know of your desire to receive the Sacrament of Anointing so that it may be requested when you may be incapacitated. It also, again as noted by another above, is important to know your priests. My mother-in-law suffered a massive stroke last November. When we arrived at the hospital, family had started to gather. Some were Catholic, others were not. My wife and I knew to summon a priest. My beloved pastor (of your home parish) arrived within the hour to administer the sacrament and bestow the Apostolic Pardon. He told me to take photos of prayers from his book to say when they disconnected her from life support. I am grateful for his immediate response and his priesthood. I am certain that my mother-in-law is infinitely more grateful (D.V.). I am also thankful that we summoned our children to witness it all and to instruct them on this most beneficial sacrament. On a side note, the attending nurse told my wife and me that my mother-in-law had already “passed” before she was removed from life support. That error also provided a teaching moment for our children. Gold Stars! I don’t think I have ever seen so many Gold Stars issued by our respected blog host. This is something to give serious consideration to, I think. Thank you for this post. The comments are outstanding too. I just bought St. Liguori’s Preparation for Death. Also planning to make a good and thorough confession. And to change my ways. Mark Costello, the Labor Commissioner of Oklahoma, and Godfather to my youngest child, was stabbed to death this past year by his oldest son who has schizophrenia. He had been “dead” for hours lying on a slab in the morgue when our priest from the FSSP (Fr. Pelster) came and found that the body was quite supple and pink. He did Extreme Unction and the minute he finished, the body turned grey, hard and stiff. This story was told at his wake by Fr. Justin Nolan, an FSSP priest and close friend to Mark. Mark had vehemently opposed the black mass that was done approximately a year before. He took out a very expensive full ad in the newspaper to protest. The devil didn’t like that. I personally do not believe that Mark Costello was dead and that God made a provision for Mark to be annointed before his true death. Mark brought many souls to the TLM and to Christ. There were many miracles that happened at the funeral. One was that a staunch atheist from England who was a business partner was at the funeral and had a vision of Mark smiling at him. This man quickly ran to a priest afterwards to tell him that he wanted to convert and know the faith. Mark had been after this man for years to convert. Another is that someone from our church went to his graveside and asked for intercession for a financial matter and went inside to find an envelope full of money was waiting for her. It was for 1000 dollars and Mark always gave to people and charities that exact amount. As I mentioned in my previous post, I was taught by my seminary professor (who also is a physician) that conditional anointing is no longer permitted in light of Canon 1005: “If there is any doubt as to whether the sick person has reached the age of reason, or is dangerously ill, or is dead, this sacrament is to be administered.” We were taught if there is doubt, then the sacrament is given in the absolute form. This is confusing. All I want to do is what the Church teaches and permits regarding this sacrament. I knew Mark when he was at KU even though I had already finished–a great guy. I was stunned to be told of his death while spending Christmas at Clear Creek. Good stuff from Fr Z and others. I don’t buy, however, the idea of gradual separation of the soul from the body. The soul is not divided into parts. Its essence is present everywhere in the body even though certain powers are only exercised in certain parts of the body. The union ends when a body is no longer capable of such a union, which is why there can be no union between a soul and, say, a rock or cardboard box. Those who have been present during the hours leading to death have witnessed certain extremities gradually becoming cold despite death not being present. IMHO, putrefaction is the chief indicator. The soul is the substantial form of the body–its absence ends corporeal unity, thus making putrefaction inevitable. Kevin Fogarty, well done. There are signs that are reliable as you have described. Father G., if you think about the real reason behind using brain death as legal death, it is because it lets you harvest the organs while they are still alive. Now it someone is brain dead, the only way to keep those organs alive are with extraördinary medical interventions, e.g. mechanical ventilation, chemical support of blood pressure and heart function. Stop those after brain death, and the person dies pretty much immediately. Even so, death doesn’t come exactly immediately. The heart keeps having electrical activity for a good while – I’ve seen it after 15 minutes, but never looked to see after that. So discount the idea that brain death is actual death; if it were, you wouldn’t need to call it by a special name. I hope no one lets their understandable confusion on the issue prevent their giving the Annointing, nor Viaticum, nor any of the benefits of those Rites that will let a Christian should die in a state of Grace. As a concept of medical term, Brain Death is only an allowance for the generosity of the donor in face of the inevitable, and a worthy allowance for the good it produces. But it seems nearly worthless compared to the eternal good you can do someone by remitting their sins and preparing them for the Beatific Vision. My own understanding of this would be as follows. Art. 9, §1 of Summorum Pontificum give express permission to use the older form of ritual for Annointing of the Sick. As no priest may make changes to the ritual he should follow what is “in the book”. Any change in canon law would appear to be incompatible with the rubrics of 1962. My understanding of this could be wrong, but I think these are the most relevant texts on the matter. I remain open to correction.